Cavendish Square is a public square in the West End of London, very close to Oxford Circus, where the two main shopping thoroughfares of Oxford Street and Regent Street meet. 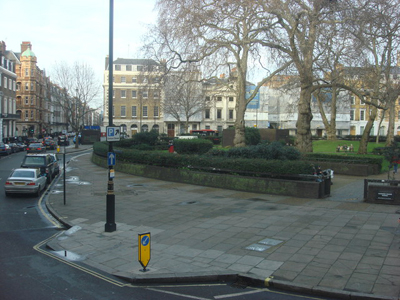 It is located at the eastern end of Wigmore Street, which connects it to Portman Square, part of the Portman Estate, to its west. One side is faced by the rear of the flagship John Lewis shop. In the 19th century, numbers 11, 12 and 13 had become a convent with a tunnel underneath the road. Following bomb damage in the Second World War the sisters commissioned the architect Louis Osman to restore the houses and create a bridge between the two. He approached Jacob Epstein for a Virgin and Child that would 'levitate' above the arch and specified that it should be cast in lead which was plentiful from the bombed roofs. However, Osman had failed to inform the mother superior that the sculptor was Jewish. However, the Arts Council congratulated her on her "innovative choice of artist". Epstein's work was unveiled in 1953. 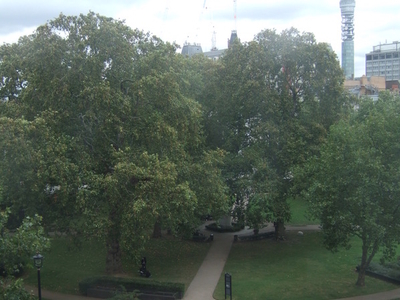 Here's the our members favorite photos of "Plazas and Squares near City of Westminster". 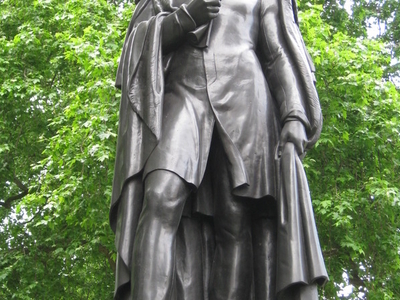 Upload your photo of Cavendish Square!